At present the world bearing market is virtually divided among eight major multinational companies with a combined market share of 80%. Their main production facilities are located mainly in Germany, China, the U.S., Sweden and Japan. At the same time, many Chinese companies, stay in for only 10% of the world market, but at the same time, China’s economy is the largest in the world and its need for bearings only continues to grow, creating a significant gap between supply and demand, which is rapidly filled by foreign manufacturers. 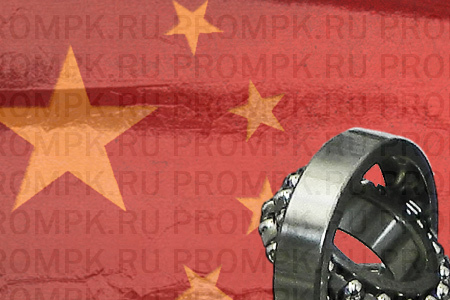 This situation, of course, is a concern of representatives of national bearing industry of China. Despite the fact that the Chinese bearing factories mastered the production of over 70 thousand types and sizes, their products are poorly represented in the market of high-tech, high-precision and high-margin bearings. Taking into account the fact that the bearings are often the key details of the mechanism, which are widely used in economics, construction and military equipment, the Chinese experts tend to believe that the national bearing industry will be able to take a significant position in the world market through the establishment of one of the most high-tech and capital-intensive industries in China. – Increasing demand due to the well-being of citizens.